The Hazard Perception Test (HPT) is one of the requirements needed to graduate from your learner's permit to your P1 provisional licence. If you have a P1 licence issued before 28 July 2014 you may need to pass the HPT to progress from P1 to P2 - check the rules here. If you live more than 100 kilometres (as the crow flies) from a place where the test is conducted, or on Kangaroo Island, you are exempt from having to pass the HPT. You can take the hazard perception test at a Service SA customer service centre, but you must make an appointment first. Telephone 13 10 84 to make an appointment. You will need to pay for your test booking at this time with a credit card (Visa or Mastercard only). Please quote your Learner's Permit number to the customer service officer. If you visit a Service SA customer service centre to book your test, you can pay with cash, debit or credit card. A fee is charged each time you attempt the test. If you fail, you can re-sit the test immediately provided a vacancy is available. A fee will be charged each time you attempt the test. You may need to get more on-road practise before attempting the test again. Don't be in a hurry, make sure you are ready before trying again. You can take the test in English, Arabic, Chinese (Mandarin), Croatian, Greek, Korean, Serbian, Spanish, Turkish or Vietnamese. You'll need an interpreter for other languages. Telephone 13 10 84 or visit a Service SA customer service centre for assistance. The Hazard Perception Test (HPT) is a computer-based test that measures your ability to recognise and respond to potentially dangerous situations and react appropriately. A lack of these skills is a major factor in crashes involving young novice drivers. You do not need computer skills to take the test. All interaction with the HPT computer is via the touch screen. You may not be assisted during the HPT. All instances of cheating or attempts to cheat will be treated seriously. The computer will take you through an introductory section that explains the test, following by instructions. You will be given two questions to practise before the actual test starts to help you become familiar with how the test will operate. The actual test involves showing film clips of real traffic situations that you will be asked to respond to. You will see what the driver would see. The dashboard shows you the speed at which you are travelling and if the indicators are operating. You are told what the driver wants to do (e.g. turn or go straight ahead). You will need to touch the screen if and when you think an action is required such as slowing down, overtaking or crossing an intersection. The picture will flash indicating that the computer has recorded your response. The film clip may run for another few seconds, but once you have seen the flash there is no need to touch the screen again. You may be shown a situation where it would be unsafe to take an action such as turning or overtaking. If you think it would be unsafe to take any action you should not touch the screen. When all the questions have been completed, a screen will appear to tell you that you have finished, and to notify your test supervisor. 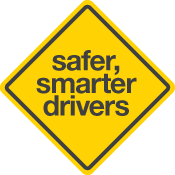 Please read this section for a complete guide to driving risks and hazards. You can practise the Hazard Perception Test here. The Department of Planning, Transport and Infrastructure thank the NSW Roads and Maritime Services for their permission to reproduce material on the Hazard Perception Test.